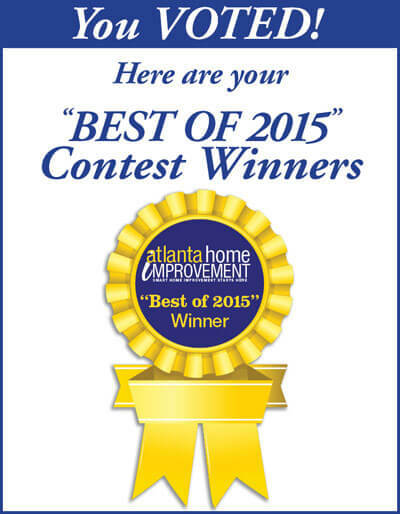 We are so pleased to announce that Kass Wilson has been voted Best Faux Finish/Mural Painter in Atlanta Home Improvement Magazine‘s Best of 2015 Contest! Every year, favorite local home improvement professionals of metro Atlanta are nominated for the “Best Of” awards, in which thousands vote on the “best of” metro Atlanta. The categories included a wide range of resources and services that are utilized by Atlanta homeowners such as architects, interior designers, plumbers, electricians, contractors/ remodelers and more. Best Of 2015 voting was open daily for 2 weeks, after which the votes were counted and the winners were announced- and we won! Thank you so much to everyone who took the time to vote; your support is greatly appreciated. With over 20 years of experience in the world of faux finishing, Kass has built a wealth of knowledge on decorative painting techniques for a huge variety of applications, from residential to commercial, large scale to small, ceilings, walls, doors, and floors- if you have a vision, she can bring it to life with one-of-a-kind artistic finishes. Congratulations to the other winners of this year’s contest, and thanks again to all who voted for us. We look forward to continuing our work with Atlanta’s many talented interior designers, creating faux finishes for distinctive interiors.